March weather can be iffy. If you’re planning to visit make sure you’re equipped for the chill. Bring a second pair of shoes, an umbrella, water repellant gear. You can wake up to sun and be drenched by 3 p.m. When all else fails, duck into a cafe, or better yet, a place like Le Fumoir. You don’t even have to smoke, just chill and have a martini or two. Energized, head for the Picasso Museum, a safe dry elegant place and take it all in, 5 Rue de Thorigny, closes at 6. Until next time. 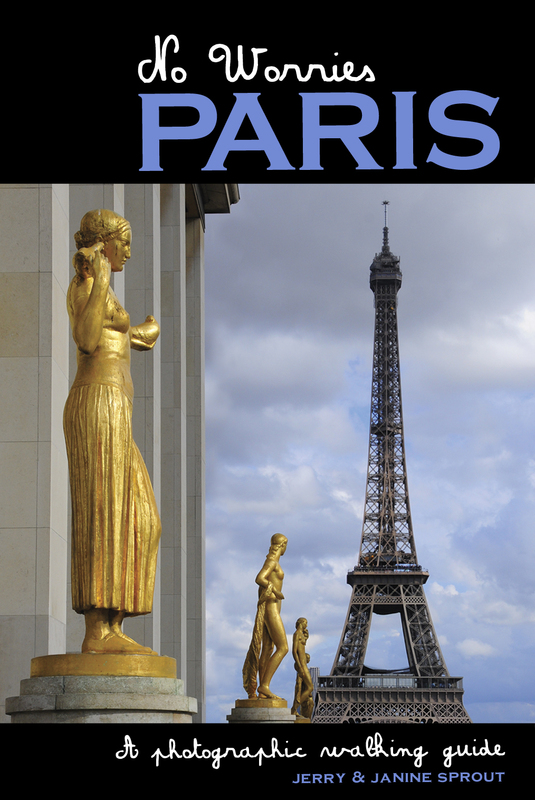 Hope you’re designing your own Paris itinerary with the city’s best walking guide, No Worries Paris. Merci! No doubt about it, the French love weekend meals outdoors in the fresh air. The ritual can last hours and depending on consumption of wine, even longer. Picnic spots are numerous. I like Bercy, Parc Montsouris, Champs de Mars, Parc Monceau, Place des Vosges, Square du Vert-Galant, Bois de Boulogne, Quai de Valmy, just to name a few. Buying your picnic food can be a challenge. Finding central locations where everything is available can save time and frustration. Your neighborhood charcuterie probably carries most of what you’re looking for but you’ll have to add on a trip to the boulangerie, cheese and wine store. GLG occupies two floors and offers a home delivery service. A feast for the eyes and the taste buds, cases of mouth-watering delicatessen will have you buying more than you can eat. Fresh produce and specialities from the best international and regional food brands abound. Tasting bars dot the first floor. A temple of good taste, La Grande Epicerie de Paris sells 30,000 gourmet products. It’s located on the ground floor of Le Bon Marché, Paris’s oldest department store, where its bakery, patisserie, butcher’s and cheese shop will all urge you to give in to gourmet temptation. Prices depend on the age and origin of the product, so you can just as easily enjoy a delicious lavender macaroon for two euros as bankrupt yourself for a bottle of olive oil. One of the biggest markets in Paris, the Marché Bastille’s food stalls sprawl up the Boulevard Richard Lenoir twice a week. It’s a great source of local cheeses, free range chicken and excellent fish. The piles of fruit, vegetables, saucisses, olives and quiches are interspersed with stalls offering African batiks, cheap jewelery and bags, discount scarves and linens. A wonderful, narrow crowded market street cobblestones and all. Charcuterie, creperies, cheeses, fruit, flowers, rotisserie chicken, pates, seafood shops wind down the hill. A moveable feast, you’re guaranteed a peek at how it used to be before le supermarche. What many people don’t know is that since the 1950s, inventions in Jamaican music—born out of the “do-it-yourself” ingenuity pulsing through the ghettos of Kingston—have laid the foundations for most modern-day urban musical genres, giving rise to such fixtures of todayʼs musical lingo as “DJ”, “sound system”, “remix”, “dub”, etc. Often blurring the lines between distinctions—spiritual or nonreligious, rural or urban, a soundtrack for Rastafarian wisemen or rude boys from the ghetto—Jamaican music is anything but one-dimensional. The Jamaica Jamaica! exhibition seeks to acknowledge this history, reconsidered through the prism of the postcolonial conflicts and encounters that led to a unique and universal movement—a virtual “sound clash” between Bob Marley, Peter Tosh, Lee Perry, King Tubby, Studio One, the Alpha Boys School, Haile Selassie I, Marcus Garvey, etc., through musical styles as varied as burro, revival, mento, ski, rocksteady, reggae, dub and dancehall. It brings together rare memorabilia, photographs, visual art, audio recordings and footage unearthed from private collections and museums in Jamaica, the United States and Great Britain. Also providing a platform for young Jamaican artists, the exhibition is a powerful wail that has been ringing out internationally for decades through its music. Paintings and murals created on site by Danny Coxson, the Jamaican street artist invited by the Cité de la musique – Philharmonie de Paris and the Institut français. Interactive installations: a sound system and tracks that visitors can operate, and discos inside the exhibition every Friday evening. One-of-a-kind instruments: Peter Tosh’s M16 rifle guitar, vintage sound systems, King Tubby’s customised mixing desk, etc. Reconstructions of legendary studios such as Studio One, the Black Ark and King Tubby’s.